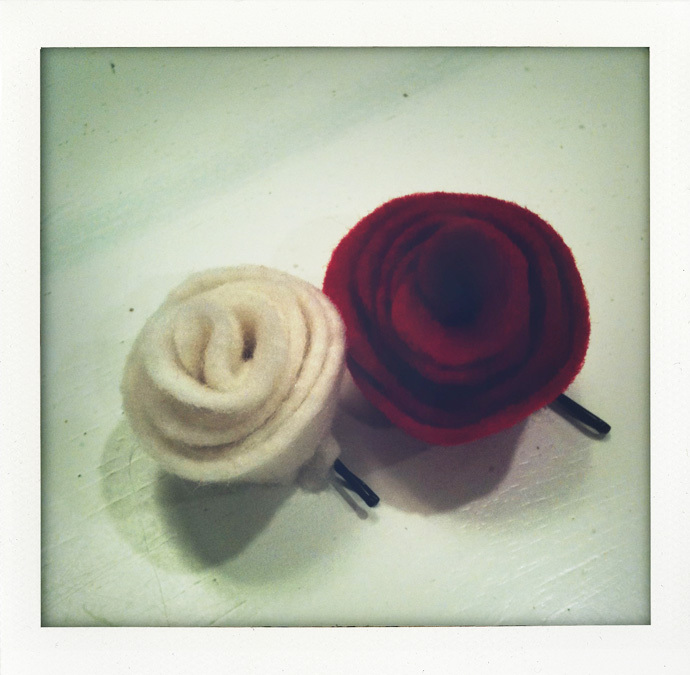 And these little felt rosette hair clippies, made for my darling nieces we get to see this weekend! These are ridiculously easy. I read these instructions for the rosettes. Next time, a little leaf addition perhaps?